Gabrielshoek Country Escape - Dullstroom Accommodation. 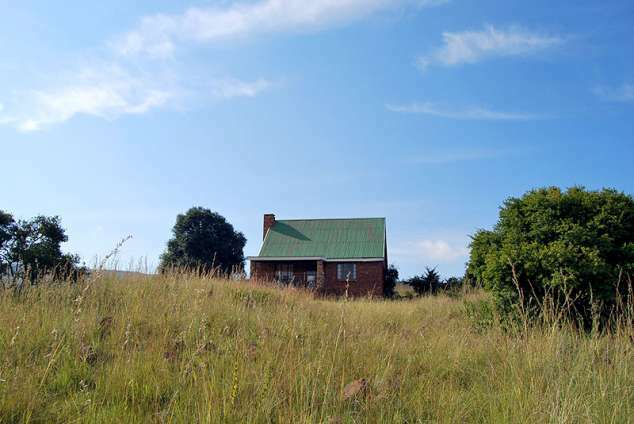 Nestled in the gentle rolling hills of the Steenkampsberg, Lydenburg, lies this 450ha of natural splendour. Providing fisherman as well as nature lovers with peace, tranquillity and excitement. The farm offers an affordable getaway with comfortable accommodation, whether it is for friends or family in the fully equipped Rose Cottage. Secluded, private and very cozy. Glorious views of the valley. Situated between 2 dams. Open plan lounge/dining/kitchen. Lounge with an open fireplace. 2 Bedrooms and a loft - accommodating 6 people. Sharing bathroom. Braai facilities. Fully equipped with linen, towels, heaters, kitchen utensils, 2 plate stove, fridge, microwave, radio (no TV's). The farm boasts excellent fly-fishing facilities that include 4 dams in which to fish for Rainbow, Brown or Golden Trout. Lovely walks in tranquil surroundings. Many different species of fauna and flora. Birding (Blue crane sightings in season). Controlled 4x4 route. Cleaning services at an additional charge (on request only). Wood can be obtained at an additional charge (first 6 bags included in price). Note there are no amenities at Gabrielshoek, this you will find in the closest towns Lydenburg / Dullstroom. Gabrielshoek ...your peace and tranquillity destination! 60033 page views since 22 Sep, 2006. Last updated on 10 Sep, 2018.